Traditionally, the Ramayana is attributed to Valmiki. The Hindu tradition is unanimous in its agreement that the poem is the work of a single poet; the sage Valmiki, a contemporary of Rama and a peripheral actor in the epic. The story's original version in Sanskrit is known as Valmiki Ramayana. Srimad Valmiki Ramayana is considered as the Adi Kavya, equivalent to Veda itself. As per Valmiki Ramayana there is no instance which shows that Lord Ram worshipped Lord shiva. But the latter traditions (Ramcharitmanas) and Puranas (Shiva Purana) show that Lord Rama worshipped Lord Shiva and also he installed a Shiva Linga which now became the famous temple of Rameshwaram. How far are these latter traditions and puranas are to be accepted when the Valmiki Ramayana doesn't mention of Lord Rama worshipping Lord Shiva? Is there any other scriptural evidence regarding the worship of Lord Shiva by Lord Rama which is as valid source as Valmiki Ramayana? Yes, he did. This is clearly written in Valmiki Ramayana, Yuddha Kanda in the scene where Rama , Sita and their retinue are returning to Ayodhya in the pushpaka vimAna and Rama is showing Sita all the places that he had visited during his journey to Lanka. This indicates that Rama worshipped Shiva before the great war with Ravana and not after as is popularly believed. Nonetheless, it is indisputable that he worshipped Lord Shiva. Rama instructed that Hanuma lingam should be worshipped first since it was brought by Lord Hanuman - the tradition continues even today. “on the advice of Rishis, Rama wanted to consecrate at Rameswaram a shrine for Lord Siva to wash off the Brahmahatsya dosha - the sin of killing Ravana, a Brahmin. An auspicious time for the ceremony was fixed. Rama rushed Hanuman to Kasi to bring a Sivalingam. The auspicious time for the installation had neared, but Hanuman had not returned, Sita made a Sivalingam out of sand and the puja was performed to this Lingam at the stipulated time. It was consecrated as Ramalinga. Meanwhile, Hanuman returned from Kasi with two Lingams. He was disappointed that the ceremony was already over. In anger, he tried to uproot the sand Sivalingam with his tail, but in vain. Rama pacified Hanuman and installed one of the Lingams brought by Hanuman from Kasi to the left of Ramalinga, and ordered that all pujas be first performed for this Sivalingam, called Kasilingam or Viswanathalingam." This priority in puja is followed even today. “Tradition ascribes the authorship of Adhyathma Ramayana to Vedavyasa since it is said to be an integral part of Brahmanda Purana. Adhyathma Ramayana is the portrayal of a conversation between Lord Siva and Goddess Parvati (as reported by Lord Brahma to Sage Narada). It is this work that provided Tulasidasa with the inspiration to compose his immortal work, the Ramacharitamanasa. Sri Rama was described by Valmiki as a perfect human being, a maryada purushottama, with embodiment of Dharma. In Adhyathma Ramayana we see Rama as Brahman - omnipotent, omnipresent and omniscient, the cause without a cause and the One without a second. In Ramavataram, popularly referred to as Kamba Ramayanam, is a Tamil epic that was written by the Tamil poet Kamban during the 12th century. It describes the life of King Rama of Ayodhya. This historic work is considered by both Tamil scholars and the general public as one of the greatest literary works in Tamil literature. It also doesn’t mention about Lord Rama Worshipping Lord Shiva in the form of a Linga before/ after the war. In each of the above references one doesn’t confirm to another completely for the above episode in question of Ramayana. There are as many 300 Ramayana’s with varied interpretations. 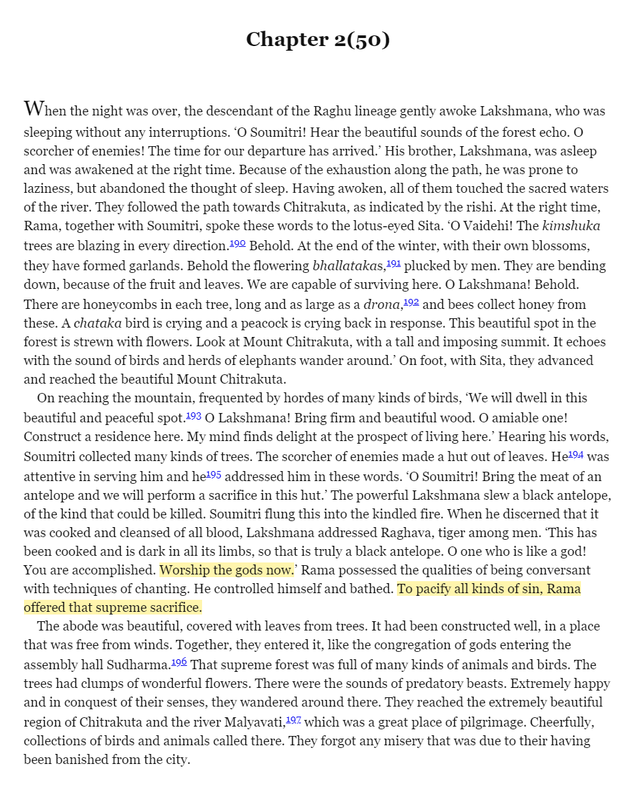 So taking a cue from Valmiki Ramayan which shows Lord Rama got the grace of Lord Shiva before War and stories from Shiva Purana, RamCharitmanasa, Adhyatma Ramayana which show that Lord Rama installed Linga before war and prayed to it are in perfect contradiction of the sthala purana of the temple of Rameswaram. Skanda and Linga Puranas are in agreement with the sthala purana. But here appears a paradox where the former known to be more authentic don’t agree with that of sthala purana. Still it remains a matter of debate as to which one is authentic. Leaving this aside temple town of Rameswaram is equally revered by Shaivas and Vaishnavas. Wish may Lord Ram and Lord Shiva instill upon our minds the truth against popular or argumentative opinions. Not the answer you're looking for? Browse other questions tagged mythology shiva ramayana rama valmiki .